These medications for low HGH treatment are not interchangeable. They each serve a different purpose and help a specific group of people dealing with AGHD. What medications are prescribed for low HGH that is interfering with a person’s health, quality of life, or daily functions? The first type of medication, HGH injections, is used when growth hormone levels become so low that they require immediate replenishing. That is what human growth hormone does – it fills in the missing gap between what the pituitary gland produces and what the body requires. What medications are used for low HGH that has not yet reached the point where symptoms are getting in the way of daily activities? The second type of medication, sermorelin injections, is best for adults in the early stages of growth hormone decline. In this case, symptoms are not yet severe, and the individual can wait a bit longer for this treatment to stimulate the pituitary gland to increase its natural production of GH. Sermorelin will not work well for people already dealing with multiple signs of AGHD. How do doctors know which type of medication to prescribe for low HGH levels? 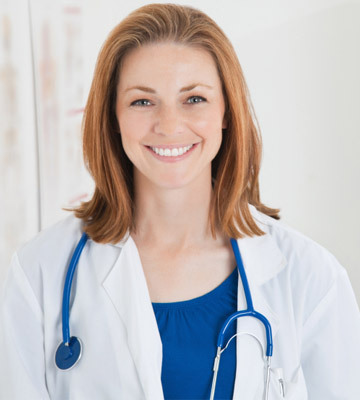 Through a combination of blood analysis, physical examination, medical history review, and a close look at the symptoms and their severity, the hormone specialist can determine which treatment will provide the best results. Unlike twenty years ago when there was only one brand of HGH on the market, adults today have numerous options for the treatment of AGHD. Unfortunately, not all are the right choice. As with many other medications, HGH is often subject to unscrupulous people who manufacture counterfeit or cheap versions that they sell online at heavily discounted prices. Some companies even paste false, brand name labels on these products and try to pass them off for the more desirable products. You can avoid getting these imitation medications for low HGH treatment by always buying your human growth hormone injections from reputable sources and pharmacies in the US. Any time a company offers to sell HGH without a prescription or is not located in the US, take this as a warning sign that you are not going to be getting the best medication for low HGH. The other thing to be wary of is anything that is not a legitimate HGH injection. Pills, pellets, sprays, patches, drops, or any other product that is not injectable is not real HGH as that is the only valid method of delivering this medication into the body. You can trust the quality of these prescription medications for low HGH when they come from licensed and regulated US pharmacies. Now that you know the best brands of human growth hormones, it is time to look at the types of medications for low HGH. Although all of the medications used to treat AGHD are injectables, different types can simplify the process for those who desire. Finally, for the utmost convenience, injector pens are available from all five of the listed brands, although they vary greatly from one company to the next. Please speak with one of the clinic advisors here at Greenberg Health to determine which medication for treating low HGH is right for you.